The pureblood Porsche isn't in the top rung of supercars anymore, but do you still dream about the Carrera GT? This morning, would you drive one? Welcome to Morning Would, where we present you with some of the most desirable, controversial cars ever built and ask if you yourself would drive one. When the Carrera GT debuted in 2004, it got a rough reception. For a supercar, the styling was too understated, the carbon clutch was too difficult, and it was too slow to break any speed records. The 605-horsepower V10 plucked from an aborted racing project has aged well, however, and the Carrera GT remains the serious enthusiast's supercar of choice. Or does it? 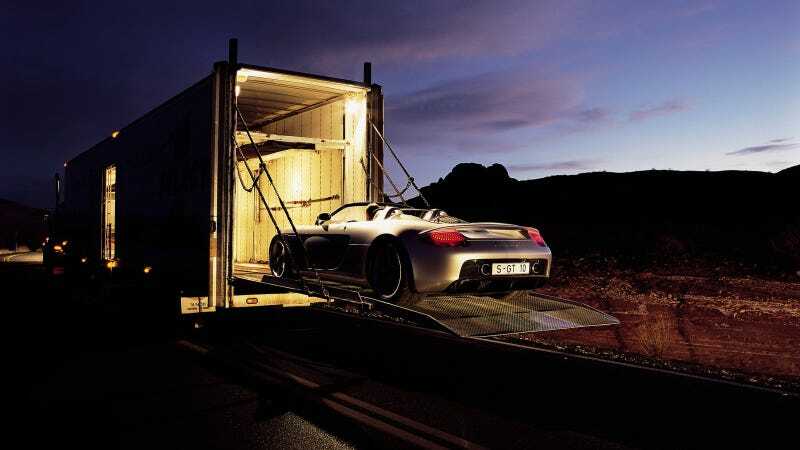 Would you rather find yourself behind the wheel of a Noble M600 or even an Ariel Atom for a dedicated driver's car, or is the Carrera GT your perfect automobile?